Wedding season typically stretches from the end of May until December, with brides and grooms looking to take advantage of the longer days and the relatively warmer weather. 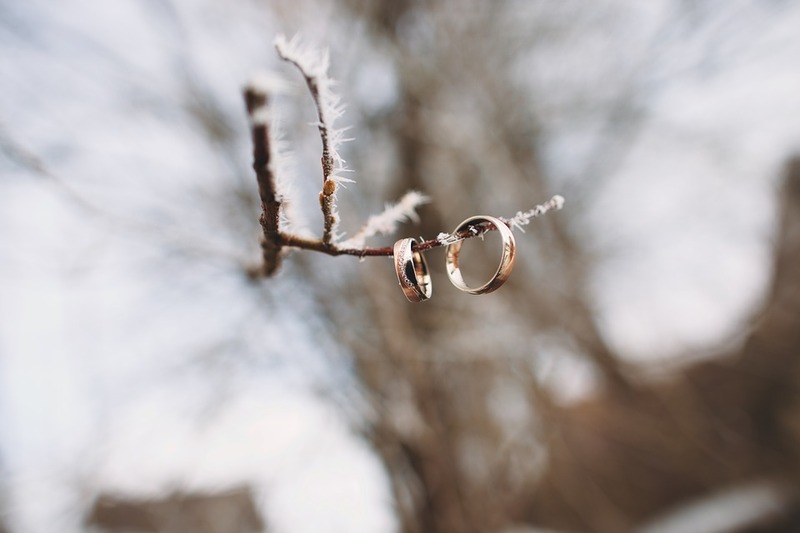 Yet there’s nothing quite as magical as a marriage in winter – particularly with a rural wedding venue. All wedding venues transform in winter. Earlier sunsets change the lighting and usher in cooler evenings, with the potential for frost and snow. Planning a wedding in the colder months can be challenging, but it also presents a unique opportunity to plan a spell-binding day to remember. In this blog post, Hall Farm explores some of the things you should bear in mind if you’re thinking of booking our wedding venue for winter 2019. Banks of fresh fallen snow and crystal-clear skies are staples of any dream winter wedding, but it should go without saying that British weather rarely behaves as it should. While you might not get the precious snowfall that you’re hoping for, you can almost guarantee that temperatures will drop during the day. Dress for the weather with plush accessories and warmer materials. Think faux-fur wraps for the bridal party and tailored great coats for the groomsman. Consider doing away with impractical heels and donning something warm and sturdy underneath the bridal dress. Thick tights and boots offer a quirky twist that will tie in nicely to the rural style of your Hall Farm wedding venue. It also might be worth planning for rain, but even the rain can be an opportunity. Consider stocking up your wedding venue with umbrellas so everyone can enjoy the outdoors even in the case of showers. As it gets darker quicker, you might want to prioritise your outdoor photos so you can make the most of the moody winter afternoons. Keep in touch with your photographer and make sure you’ve got plans in place to get the photos that you want when the time is right. You may have to be more flexible in terms of timings as the weather might be working against you. Light up the dark with sparklers or fairy lights for some truly stunning night-time snaps and get creative with your decorations to achieve a truly homely feel for your wedding venue. Hall Farm’s Water Meadow is situated in a gorgeous corner of the Norfolk Broads, offering a natural blank canvas for you to build your unique ceremony. We recommend using a tipi or marquee to shield your guests from the elements, but how you dress the ceremony is all up to you. One final piece of advice: give your guests a little extra time to make it to the wedding as the location is secluded to give you ultimate privacy on your special day. If you would like any more information about either our Water Meadow or Wooded Lake wedding venues, contact a member of our team and we’ll give you all the information you need.